VIRGINIA BEACH, VA (January 31, 2018) – AAA Tidewater Virginia is honored to announce that the Williamsburg Inn has received the coveted AAA Five Diamond designation for 2018. This is the first time the Williamsburg Inn has attained this prestigious rating. "This honor of the prestigious AAA Five Diamond designation is something as a property we are so proud of," said Paul Scott, Senior Vice President for Hospitality. "The staff and management at the Williamsburg Inn have dedicated themselves to provide top-level service to all visitors who pass through our doors, and this award is a result of their hard work and true expertise in hospitality." Hotels at this level employ experienced, highly qualified staff to provide the custom service their guests expect, according to AAA. These establishments deliver the ultimate in luxury, sophistication and comfort with extraordinary physical attributes, meticulous personalized service, extensive amenities and impeccable standards of excellence. The Williamsburg Inn is part of a select group representing the top tier of the hospitality industry in North America. Just 121 hotels made the AAA Five Diamond list for 2018. 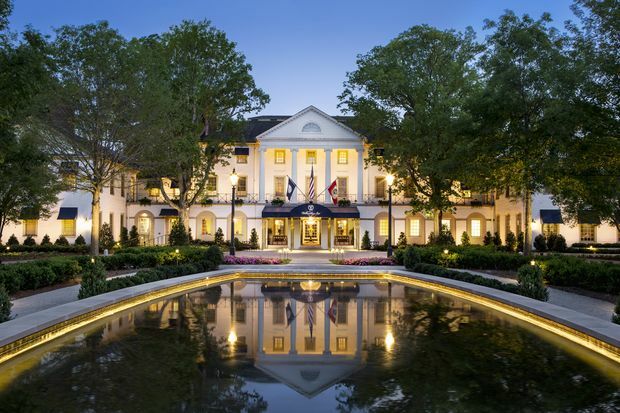 "The AAA Five Diamond designation is an honor we share with all of our staff at the Williamsburg Inn," said Florencio Ferrao, Vice President of Hospitality. "We have a phenomenal team in place that every day contributes to making the Williamsburg Inn the amazing place it is to visit. It is our hope with this honor, they all can see the rewards from their commitment to excellence." AAA first began inspecting hotels and restaurants in 1937, the same year Virginia’s Williamsburg Inn opened its doors. More than 80 years later, the elegant Regency-style property has attained the exclusive AAA Five Diamond Rating, indicating it has reached the pinnacle of luxury, sophistication and guest comfort.